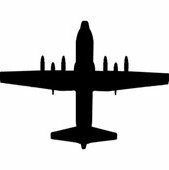 The Savannah Professional Firefighters Association says it is a C-130 Hercules military airplane that crashed. A massive number of emergency responders are on the scene of a military plane crash on GA-21 at Gulfstream Road in Port Wentworth. The call went out for a reported "plane down" just before noon Wednesday. Witnesses called WTOC and reported actually seeing the plane go down. A PR ANG acft that was at Savannah for Mx, not a Savannah ANG acft. Acft was headed for final flight to AMARG according to FAA records. News already reporting two fatalities. 156 AW, 198 AS, WC-130H 65-0968 c/n 4110. The Air Force says an Air National Guard C-130 cargo plane has crashed near an airport in Savannah, Georgia. Chatham County Deputy Coroner Tiffany Williams says police tell her two people have been killed in the crash of a military cargo plane near an airport in Savannah, Georgia. Williams said she didn't have any other details on the deaths Wednesday. In a tweet, the Chatham County Emergency Management Agency says the plane crashed Wednesday at the intersection of two roads. The Savannah Morning News reports the plane was from the Air National Guard 165th Airlift Wing. 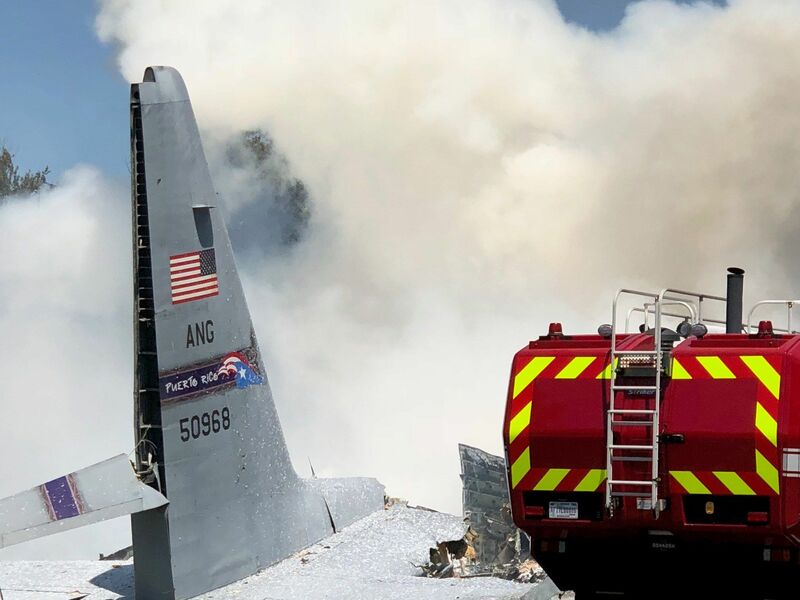 It crashed around 11:30 a.m.
A photo tweeted by the Savannah Professional Firefighters Association shows the tail end of a plane and a field of flames and black smoke along the side of a road as an ambulance stands nearby. Having worked on almost every variant of the C-130 (except the new J), it seems almost personal, that they would crash. I have my theories as to why there have been increasing C130 crashes but I don't have the facts. Does our community have crash reports and findings? It hurts to see this great airplane killing its crews. Witness captures military cargo plane taking off from Savannah airport before crash. Interesting. I am also a member of a DC-10 group. The webmaster there forbids any mention of any DC-10 crashes or incidents with the threat of immediate expulsion from the group. I think he's an ostrich. I think he's an ostrich. I would agree. We just need to keep in mind that we are speculating, trust that the investigation will determine the cause and most importantly, be respectful/mindful of those involved and their loved ones. Airplane looks slow on takeoff and slow in flight. I sent a Herc pilot friend of mine the takeoff video. He said it looks like #1 prop isn't turning. I can't see it, but my 74 year old eyes miss a lot these days. Anyone else see it? There were various reports of a single engine failure. In the video of the crash a short puff of smoke can be seen just before the nose of the aircraft goes downwards. Possible stall after loss of power just after take off?? Engine failure was on the same side as the aircraft rolled towards. The white puff of smoke it appears to be something on the ground on the opposite side of the runway. You can see something bright white prior to the plane rolling past that spot. Also from this video, which I have watched numerous time could this be a no flap takeoff? This is another video that has been posted from a nearby Truck Lease company. Video from 2 different camera angles. In the 2nd video the perspective appears to show it in a pretty good side slip until it finally begins an apparent stall entry. I've heard reports they had called back to Ops there with an IFE and were returning. Some of the guys from the Georgia unit know some things but are not saying anything online. Possible left wing eng trouble. #1? Any updates to the circumstances of this tragic mishap? Was the airplane equipped with a FDR and CVR? Recovered? I would expect that progress reports have been issued by the safety investigation board? "Used-to-be"...each wing operating herks would be on the distribution list. From what I can see of the videos...the takeoff and climb appeared to be an unusual combination of attitude and bank right away after takeoff. Nose high and a lot of right bank it looks like. Hard to tell from the distance and angle. I too can imagine a static #1 propeller in a few frames of one of the videos. I also can see what looks like a big yaw angle to the left developing and progressing to stalling that wing. I was initially thinking big-time prop malfunction, but I would have expected some kind of grounding of HamStandard props-equipped planes to have occurred already, if that were the case. When I heard and saw this accident on You-Tube a few weeks ago I was greatly sadden to see this old girl gone. I worked and flew on 50968 and her sister aircraft while I was stationed at Keesler. Though I was the crew chief of 50963, I knew all these planes. I have many found memories of the Hurricane Hunting days. What a great job it was!